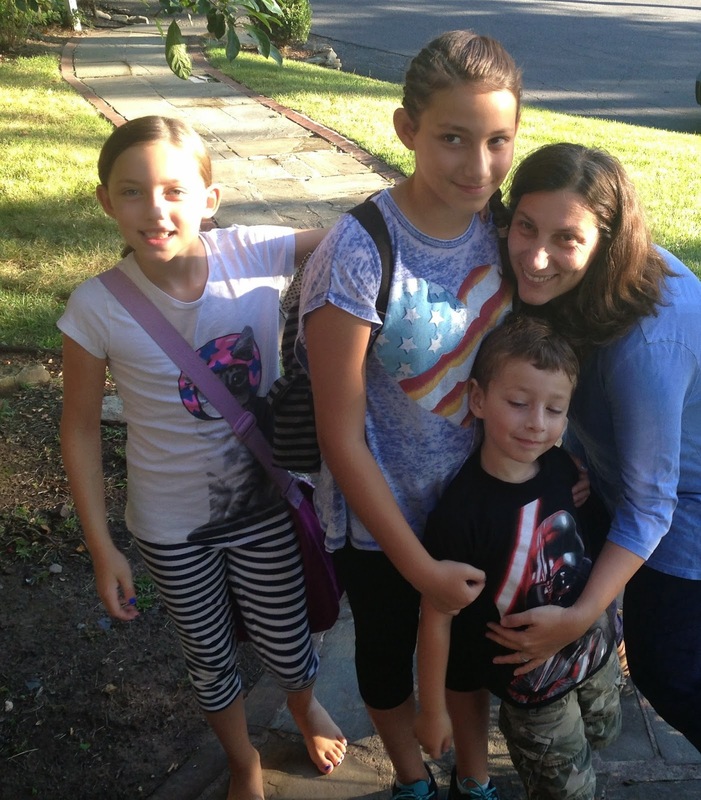 This year, back to school at our house was filled with change. I have three kids, and only my middle daughter, Kay, who is going into fourth grade would be back to her same school as last year. My youngest, Ziggy, was starting kindergarten, and also his first year at our local elementary school. My oldest, Magpie, was headed to middle school. It was a lot of change in a short amount of time, but we are now a little over a week into the school year, and I'm happy to say everyone is almost settled into the new places and new routines. Every year our family shops at Staples for the usual back to school items like pencils and notebooks, so I was thrilled when I had the opportunity to work with Staples to also take a look at their other products for back to school, as I didn't realize Staples is a great source not only for typical school supplies but for backpacks, lunchboxes and much more, too. For Ziggy who would be going to school for a full day for the first time and having lunch at school, I wanted to get him a lunchbox that would be easy for him to handle carrying and opening and closing by himself. 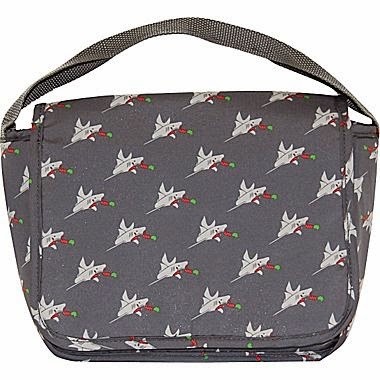 I found the perfect one at Staples.com, the Kids Cooper Lunch Bag ($17.99). It's not too big for him to carry, it keeps food cool for up to six hours, and best of all, he really loves the shark pattern. I also got reusable storage bags for his lunch items. 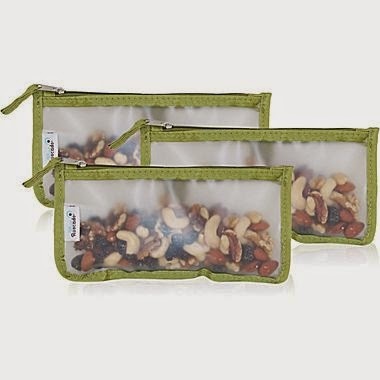 Partially, because I am a big fan of making a "zero-waste" lunch, but also because I knew it would be easy for Ziggy to open and close these (Re)Zip bags ($12.99 for two that are sandwich size, or $14.99 for three that are a smaller, snack size). 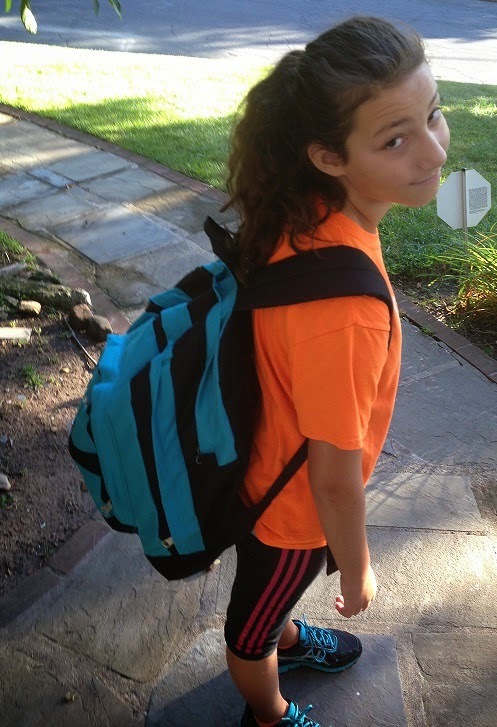 I also got this turquoise backpack for my middle schooler ($35.72), and given it's hard to figure out what a tween is going to like, I was really glad to see her genuine excitement to use this backpack. In addition to having a lot of room for books, folders, her lunch bag, and other random stuff, it also has a small pocket perfect for emergency money, a water bottle holder, and a place for her cell phone. I can't wait to see what awaits all of three kids in the school year ahead. Whatever happens, I know for sure we'll have a lot of stories to tell by the time it's June and the last day of school, and that with the exception of a few long days, that it will all go by so very quickly. Thank you Staples for helping us getting ready for the new school year! I received the items mentioned here, as well as some other ones as well. There was no additional compensation and all opinions are my own. Oh my goodness, they're all little clones of you! Too cute. How cute are your kids?! How are you liking the reusable bags? Do they wash easily? Love the pictures and I was wondering too about how easy the reusable bags are to clean. I will admit I was skeptical on the reusable bags, but they are *so* easy to clean -- and so far I've just had to rinse them off in the sink. If they get really dirty, they can even go in the washing machine!